People share and enjoy the spirit of Halloween in different ways. Some like to dress up, others love to watch scary movies and some people like to indulge themselves in great & spooky literature. 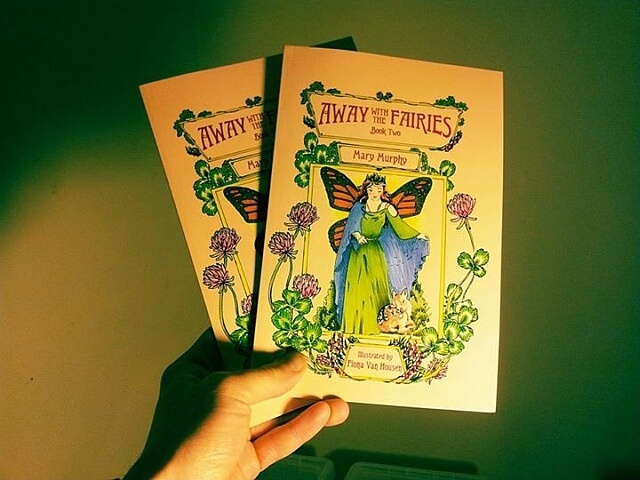 We’re doing our part for Samhain, which is all about what inhabits the fairy world and we’re giving away two copies of Mary Murphy’s book, “Away with the Fairies” (Part Two) on our Facebook page. The contest is really simple and you can win a copy of this book just in time for Halloween if you share your motivation with us. Just tell us what is your motivation for learning Irish Gaelic, why you have started learning or why you are planning to learn this language in a comment on our Facebook post and you can win a copy of “Away with the Fairies” by Mary Murphy. The book is really well made, it’s illustrated by Fiona Van Mousen and it can be a great gift for those who love to read about fairies, Samhain and other mystical literature. You can find our Facebook post here. Shamain should be ‘Samhain’, right? Go raibh maith agat, and it’s corrected.